It was an early summer morning when an emergency call was placed to PDI’s Tulsa office. 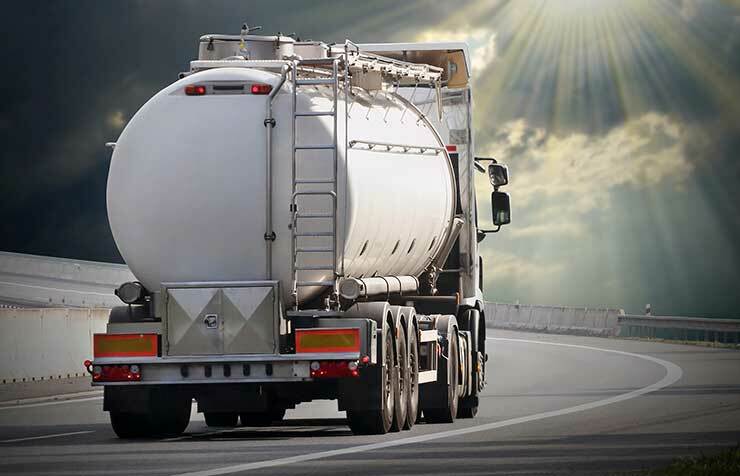 The caller, an employee of a fuel transport company, requested the activity records for a truck that was making an early-morning diesel delivery. As the conversation continued, it became clear that these details were needed to better understand the unfortunate series of events that led to a transport-involved crash that halted traffic on a busy Interstate for hours that morning. PDI TouchStar was being called upon to assist the company in sorting through the information surrounding the crash to better understand culpability and future prevention measures – information that was recorded and saved using a collection of PDI TouchStar hardware and software solutions. On the surface, PDI’s FleetWatch solution enables dispatchers and fleet managers to provide customers with accurate arrival and departure times based on optimized route specifications, and while it is not explicitly intended to serve as an accident recording system, its sophisticated GPS enabled investigators to determine the essential details of the diesel transport collision. In this particular situation, authorities from the trucking company headquarters were interested in the specifics of the truck’s travel pattern, such as vehicle location, direction of forward progress, and driver behavior. The information provided by PDI FleetWatch revealed that, indeed, the driver was not speeding, nor was there any harsh braking in the moments leading up to the collision. In addition, authorities were able to confirm that the driver was not over his limit on hours of service. Using PDI FleetWatch, the company was able to tick off, one by one, any condition that would suggest negligence on behalf of the company or driver. Calls such as this one to PDI are not the norm, as trucking companies typically handle accidents internally, using the battery of data resources available to them from PDI. In this particular situation, log-on and log-off information, speed, harsh braking, and other potentially dangerous behavior was captured via PDI TransPac at two- to ten-second increments. This information was then transmitted through the IntelLink communications hub on-board the truck to a PDI dispatching solution, PDI FleetWatch, where the data was safely and securely stored in the cloud. While the tablet upon which PDI TransPac was installed was subpoenaed, the information from that morning remains available to the company indefinitely, should they need it in the future. While packed full of essential dispatch necessities such as customized reporting and the ability to create geo-fences, the beauty of PDI FleetWatch rests in its ability to be integrated seamlessly into a larger fleet management solution. A cloud-based fleet dispatch solution, PDI FleetWatch resides within a larger logistics framework to help dispatchers mobilize fleets efficiently and track vehicles in real time – a particularly useful feature in the case of the collision described above. Contributing to PDI FleetWatch’s ease of use is the customized web portal that allows dispatchers to monitor vehicles in real-time. It was this very tool that presented the facts needed in the collision investigation. Using the proprietary web portal, dispatchers are able to monitor a single vehicle or an entire fleet and provide customers with accurate arrival and departure times – a boon to any fleet’s customer service efforts. Dispatchers may also optimize delivery routes with PDI FleetWatch, shaving valuable minutes off of each delivery, all day long, every day. In addition to providing information on each fleet vehicles’ movement and behavior throughout the day (down to two-second intervals), PDI FleetWatch is also capable of providing inventory details for each truck being monitored. The intuitive web interface shows inventory levels in hundreds of gallon (or thousands of liter) increments. This information enables dispatchers to make informed decisions about efficient routing and upcoming deliveries, and it allows dispatchers to “call an audible” if necessary. While it is obviously never desirable to have to deploy specialized tools as a means of assessing catastrophic circumstances, PDI FleetWatch is a robust software solution and an essential piece of a larger logistics framework that enables dispatchers and fleet managers to handle many of the critical situations with which they are faced each day.